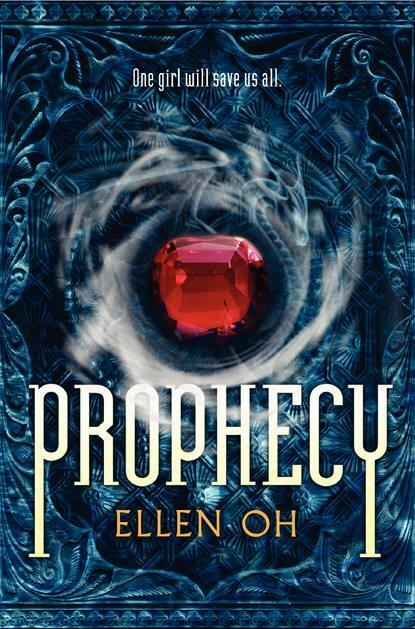 Why am I waiting on Prophecy by Ellen Oh? That plot! That cover! Okay, and the fact that I hear that it's Asian influenced. (Specifically Korean, if I'm remembering correctly.) Point and case, it sounds like it'll be a breath of fresh air. Prophecy by Ellen Oh is published by HarperTeen, an imprint of HarperCollins, and its expected publication date is January 2, 2013. Oh I saw this one last week in an WOW post and I was intrigued by it. I really think it's interesting and it has a potential to be an amazing book. I hope it turns out to be as good as it seems. Great pick. Oh and I'm a new GFC follower. Demon slayer, yeah. That sounds amazing ^^ I'm not crazy on the cover, but the blurb is so fascinating. This sounds pretty good, first time I've heard of it. Never heard of this before...but I love the way it sounds! The cover is also very pretty! lol ;p Great pick! Btw...I am a new follower! I'm just starting to love fantasy books like this one and I cannot wait for this one to come out. That cover and that amazing summary is just too hard to resist! :D Awesome pick! I've seen this one around and it sounds pretty good! I'll add it to my GoodReads for sure!